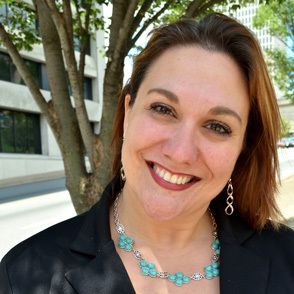 In her role as Project Director for System of Care Across Tennessee (SOCAT), Keri is leading the statewide initiative to help children with serious mental, emotional and behavioral challenges. She joined the effort in Tennessee three years ago as Program Manager and has been instrumental in launching the four sites most recently added to the program. Tennessee has been a System of Care grantee since 1999. Keri has built on the work done previously, and has added a focus on evaluation to ensure the long-term sustainability of the program in the state. Keri and her team and partner agencies work with results-focused purpose toward their goal of establishing service for all 95 counties in the state by the time the current grant cycle ends. Keri is involved with everything from ensuring that quality workforce training is completed and that consistent, effective policies and procedures are put in place, to overseeing the website and social marketing efforts. Keri holds a master’s in Public Management from Indiana University and a bachelors in Psychology from Purdue University, and has completed coursework on a doctorate in Organizational Psychology from the University of the Rockies. When she isn’t working, Keri enjoys exploring nature with her 16-year-old son and 12-year-old daughter, as they find new hiking trails and fishing spots in beautiful Tennessee.